This is my primary radio for communications while on trips. The majority of people that I travel with also use this type of radio. Here in the U.S. the operation of this radio requires a minimum of a Technician class license (Amateur radio license) from the FCC. For more details, visit www.arrl.org . This is a very fun radio to use! It allows for very high quality signal and sound, and can be used with repeaters that are commonly located atop high mountains and peaks (much like wireless phone antennas). The repeater will receive your transmission and broadcast it. This allows communications over mountains where "line of sight" communications are not possible. 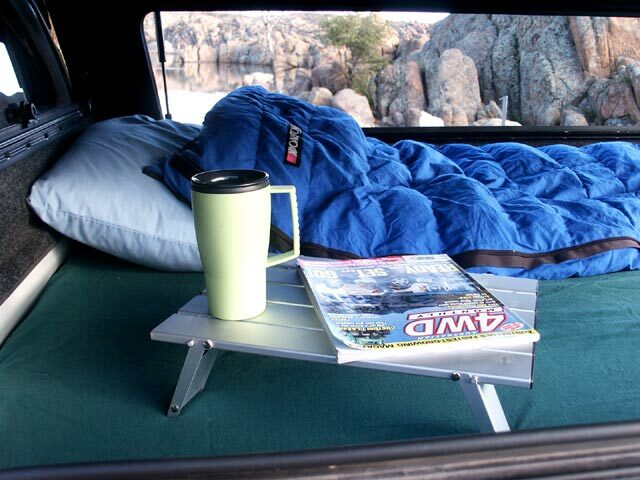 The CB radio is not my first choice for communications, but I keep this radio due to the fact that it is a very common mode of communications among travelers, and many people use the CB radio as their only means of talking to others during trips. 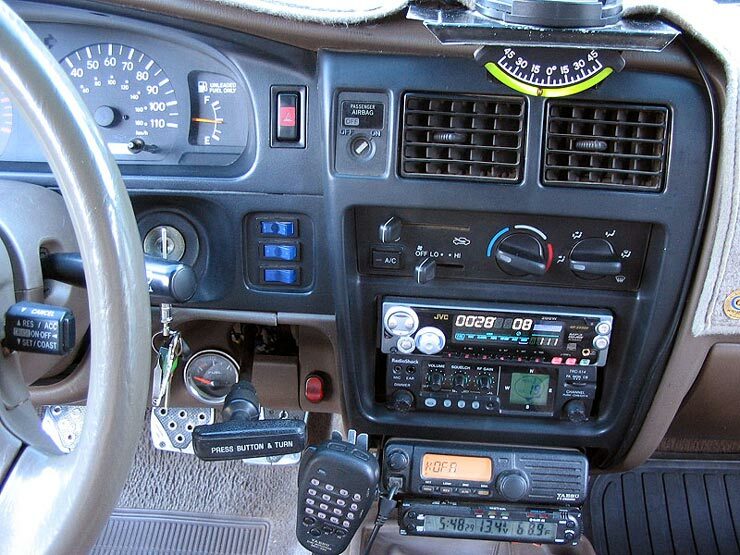 The CB radio tends to have a lot of unpleasant static and noise on it and a legal limit of only 4 watts of power. I keep this radio handy for group runs where someone attending may not have any type of communications radio. It is easily plugged into any 12V (cigarette lighter) receptacle and at least allows the user to stay in some kind of contact with the group, although reception and transmission is poor. The GPSR is so much fun to use. It is a great navigational tool, and allows me to record my travels electronically, so I can always see where I have been on the map. Kind of a geographical photograph of sorts. I am not a "power user" with this GPSR - I mostly use it just for reference and recording trips. My favorite thing about this particular unit is the fact that it uses SD/MMC memory cards, so I can carry all the detailed maps that I want (to my hearts content!). I think Magellan needs to improve the software/SD card interface. I see no good reason not to, and especially with the new products from Lowrance that are now available (also using SD/MMC cards), I think they should take note. Nothing too fancy, but good power and still working great after a few years of 4wd trips. 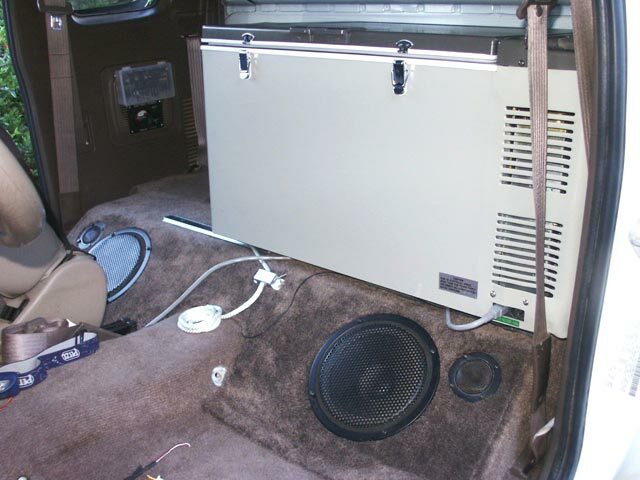 I use it with some old Kenwood sub-woofers and tweeters that I mounted in a custom platform in the Xtra-cab.